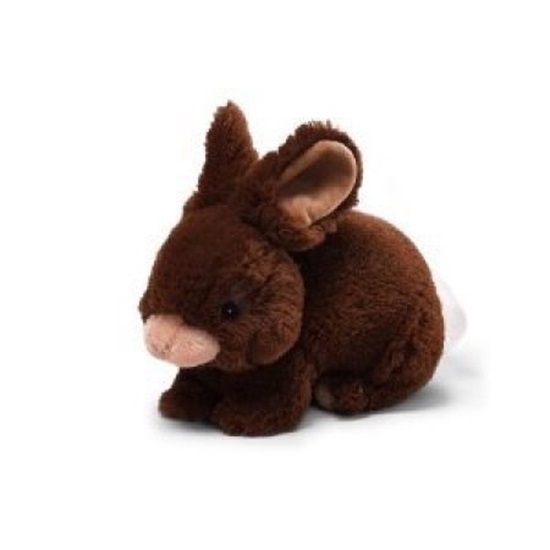 This soft plush bunny is perfect for your little one to snuggle. Her body is a dark brown, with a tan nose and paw pads. She has black safety eyes, and a hand stitched nose and mouth. Her ears are lined in a soft, tan plush, and her tail is a fluffy white cotton. She is machine washable and good for ages 1 and up.